Are You a Perfectionist? Change that Habit! – CORE Consulting Inc. It used to be that when job applicants were asked to name 3 strengths, the response “I’m a perfectionist” was seen as desirable. Not anymore. In a 24/7 world, is an excellent piece of work better late than good work on time? What is the worst thing that would happen if you make an error? How many times in a day do you witness other people making mistakes and how serious were the consequences? What is the cost of reviewing your work multiple times (e.g. time, money, stress, work-life imbalance)? Striving to be perfect in all aspects of your life fosters self-doubt and personal disappointment. And as a leader, creating unrealistic expectations for others creates anxiety and disengagement. 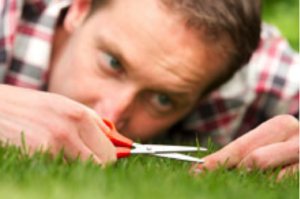 Be aware of your perfectionism and try to break the habit. Ask yourself about the task at hand: is “very good” good enough? View constructive feedback you’re given not as a sign of failure but as a learning opportunity.